This property is 7 minutes walk from the beach. 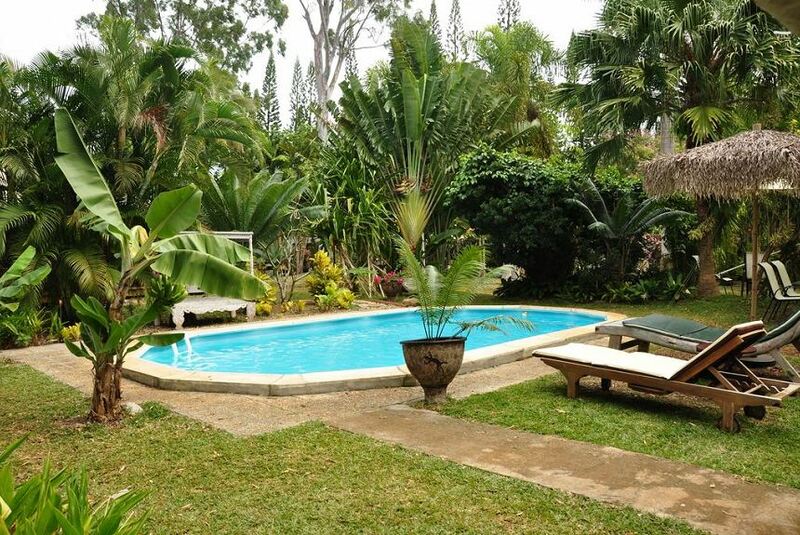 Situated amongst a tropical garden, Les Cases de Plum offers air-conditioned bungalows with free Wi-Fi access. You can relax on a sun lounger by the swimming pool or the beach is just 50 m away. Les Cases de Plum Bungalows is a 35-minute drive from Noumea city centre and a 50-minute drive from Tontouta International Airport. La plage de Plum (black sand beach) is almost on the doorstep. Each bungalow includes an outdoor dining setting and a large bathroom with spacious shower. All bed linen is provided. Bungalows with full kitchen facilities are available. All meals are available at an additional cost. Guests have access to shared outdoor kitchen facilities, an outdoor dining area and BBQ facilities. Free fishing and snorkelling equipment are also available to borrow.